Alex More has a story to tell. A struggling actor in L.A., he takes a job working in the Malibu basement of a beloved megastar. One day, the Lady Herself comes downstairs to play. It feels like real bonding in the basement, but will their relationship ever make it upstairs? 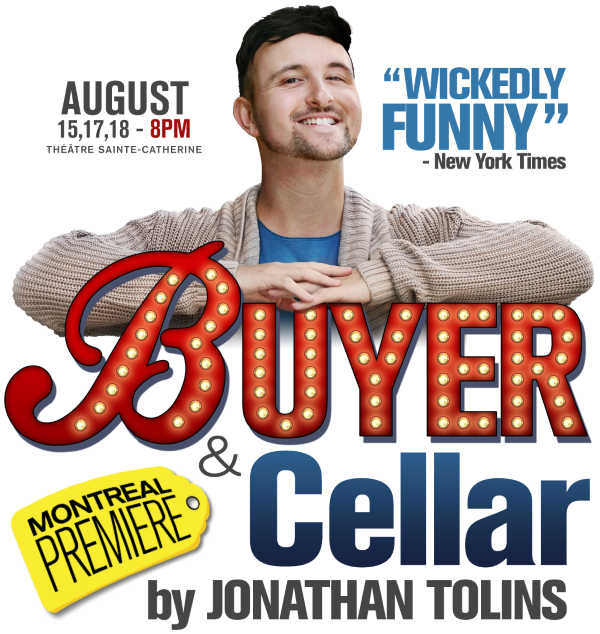 BUYER & CELLAR is an outrageous comedy about the price of fame, the cost of things, and the oddest of odd jobs. The witty, hilarious one-man-show makes its Montreal debut as part of Canada Pride at Théâtre Sainte Catherine. All ticket sales are final. Some tickets are kept for door sale, please visit the venue starting one hour prior to showtime for door tickets. All performances start on time. Latecomers will be seated at a suitable break in the performance at the discretion of management.